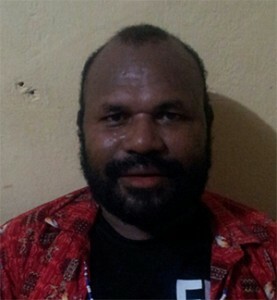 Five members of the Independent Papua Committee (Komite Independen Papua, KIP) were arrested for alleged connections to the Melanesian Spearhead Group (MSG). On 14 April 2015, five members of the Independent Papua Committee (Komisi Independen Papua, KIP) were arrested following a meeting days earlier with the Indonesian Minister of Defense, General Ryamizard Ryacudu. On 10 April, a meeting was held at the Ministry of Defense in Jakarta between General Ryacudu and a four-person delegation from KIP. The KIP states that it acts as a facilitator for the pro-independence movement Federal Republic State of West Papua (Negara Federal Republik Papua Barat, NFRPB). The meeting between the minister and Mas Jhon Ebied Suebu, Dr Don Flassy, Dr Lawrence Mehue and Onesimus Banundi was facilitated by Heni Tan Fere, a staff member with the Department of National Unity and Politics (Kesatuan Bangsa dan Politik, Kesbangpol) in Papua. The travel costs for the four men to attend the meeting were reportedly paid for by the Defense Ministry. The meeting was reported to have been brief but friendly, with the KIP members handing over several letters explaining the mandate and purpose of the KIP and NFRPB. The next day, on 15 April, Suebu and Banundi were charged with treason and rebellion under Articles 106 and 108. Flassy and Mehue were charged with treason under Article 106 of the Indonesian Criminal Code. Ayakeding was charged with treason and incitement under Articles 106 and 160. While Heni Tan Fere was not charged, police stated that she was still under investigation. On 5 May, KontraS Papua lawyers reported that the five men had been released on bail but remain under city arrest and are obliged to report to the police once a week. While they remain at risk of re-arrest and prosecution, Papuans Behind Bars has removed them from our list of political prisoners. Information received from human rights lawyers from KontraS Papua reported that Jayapura police investigating the case of the five ex-detainees were not able to secure evidence needed to prosecute them under charges of treason. It is unclear if the police will continue to pursue this case, however reports from their lawyers indicate that it seems unlikely that the five ex-detainees will be taken to trial. We will continue to report on this case should any new developments come to light.